One more use of neon is like a flasher. This can easily alert a person monitoring a machine or process. It can be used in a limit alarm or to indicate a equipment is operating well. Flashing Mains Neon Lamp - Here is a Neon Flasher circuit (untested) for a user request at Elex Quna. This can be built into a switchboard or a gadget for indicating Live Power. 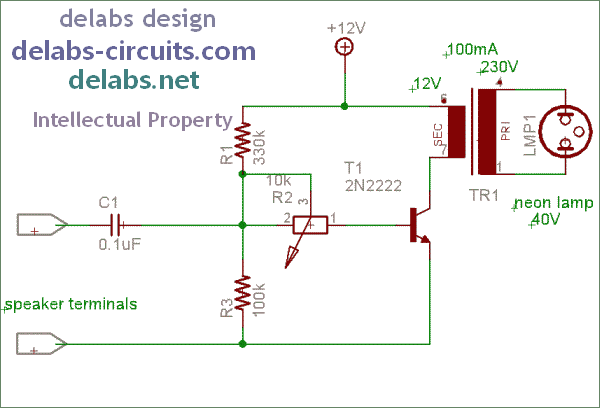 Relaxation oscillator - In electronics a relaxation oscillator is a nonlinear electronic oscillator circuit that produces a non-sinusoidal repetitive output signal, such as a triangle wave or square wave.